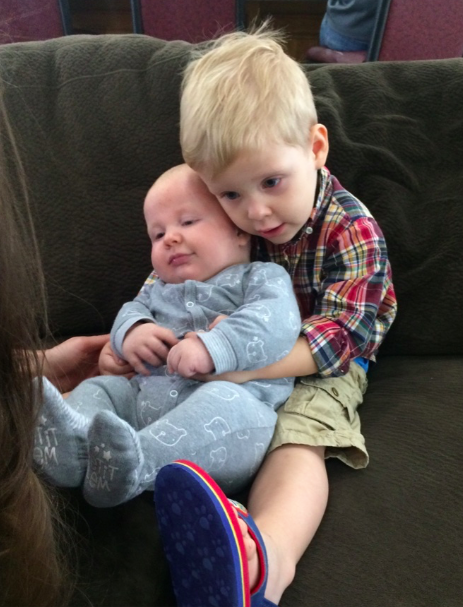 Now that Joy-Anna Duggar's wedding is all said and done, it's time for the Duggars to relax. They certainly had a busy weekend! We know you are all eager to see photos from the big event, so we have posted some below, as well as other snapshots from the weekend. Stay tuned; we will share more wedding pictures as soon as we are able. Is Jill wearing flip flops? Maybe sandles are more comfortable for her to wear while pregnant. My feet swelled so much had to were what was comfy to me. Looks like! If I was as preggers as she was I probably would be too ha! Poor girl probably has really swollen feet! She looks gorgeous either way! I'm sure her feet were too swollen for anything else. That eould maje sense since at this stage of pregnancy many women can barely find shoes to fit. I'm sure her sister cared more about having her in her wedding than what she wore on her feet. I guess she loves her sister that much...go figure. I feel like the sisters are becoming more casual with each wedding. Hair and makeup were in full force at Jill's wedding. Then at Jessa's, Jill didnt seem to make an effort. I think everyone looked great at Jinger's wedding but now for Joy, the looks seem to be super casual as if they are attending to a birthday party not a wedding. No. They have a flip flop front but are full sandals. The strap is noticeable if you zoom in on the picture. as long as she is comfortable, why should it matter? Not 9 months pregnant.....7 months pregnant, but still doesn't matter....Comfy for the pregnant lady. Don't forget that Jill made it just in time from Central America to attend Joy-Anna's wedding,and to be her Matron-of-Honor. I'm sure nobody made any comments about the fact that she wore sandals to the wedding. Her dress was gorgeous and she was all smiles and as happy as can be. Glory to God!!! Blessings to Joy-Anna & Austin. Yes she so What! Mind your own business! She is beaitifil. If I could go back and do my wedding over I would definitely wear flip flops!!! Good grief! I just asked if she was wearing flip flops. I did not say anything unkind nor did I "troll." I am a regular here. Some of you who get offended so easily need to learn that people are entitled to ask honest questions and have different opinions. They may be nicer ones but her feet are probably too swollen from the pregnancy to fit into anything else. At least Jill is wearing something on her feet. If you remember, she went barefoot for her own wedding. There are wide shoes that fit pregnant feet. Women in cold climates who are pregnant in December or January don't go around in flip flops. You can find shoes that fit if you look. I am 7 months pregnant, and don't have swollen feet. Not everyone has swollen feet during pregnancy. Maybe she just wants to wear the shoes, it shouldn't matter. And I went barefoot to my wedding too. Barefoot at a wedding on the beach, maybe. Barefoot inside a megachurch where thousands of shoes have trod? Ick. I think it's kinda funny now that joe is engaged and will be married soon, the duggar household looks incredibly different. The four littlest girls, 8 older single brothers, and Jana. They are all growing up. Watching this family makes me feel old :P I've been watching since they had 14 kids. I thought GRANDMA does the laundry. Lovely picture of Jill - I would have bet anything that Joy Anna would have her as matron of honor - they were so close/buddies. Jill looks so beautiful - I wish her all the best with the soon-to-be baby #2. Jinger is soooo pretty in the 3rd pic!!! I totally agree with you!!!!!!! Think they might be leggings or possibly jeggings, but whatever they are she looks pretty as always. She has always had her own style and it has really developed since she got married. It's not jeans, it's leggings. Whatever they are, they are skin tight. 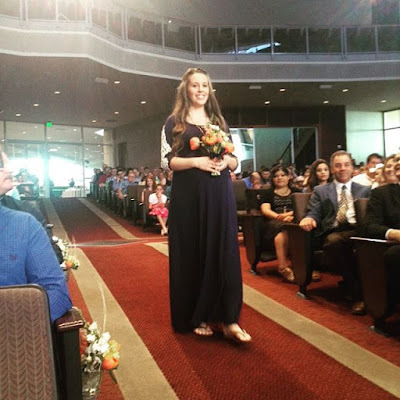 Love the picture of Jinger. Is this a professionally done photo? If not did Jeremy take it? If so, he should become a professional photographer! Izzy and Henery are ADORABLE!!!!! !💕💕💕💕 Henery is starting to look more like his big brother! Adorable shot of Israel and Henry! Israel is practicing to be a Big Brother! :) So cute! Hello there everyone hope you are having a blessed day! This was such a treat! I hope that the family can maybe slow down now and relax after so much going on! Take care every body! I love the bridesmaid dresses. Plain and simple yet elegant ;-) Plus the embellishes on Jill's are cute too. I'm totally missing seeing the "elegant" part of something that looks like nothing more than a long t-shirt. Maybe the fabric of the dresses was more dressy and we just can't see it in the pictures? They seem very plain and basic. At least they can wear the dresses again and maybe accessorize to dress them up more. Does anyone know if the Duggar girls were or are allowed to play with a Barbie doll? I have only seen them with baby dolls. I have no clue. I too only seen them with just baby dolls. 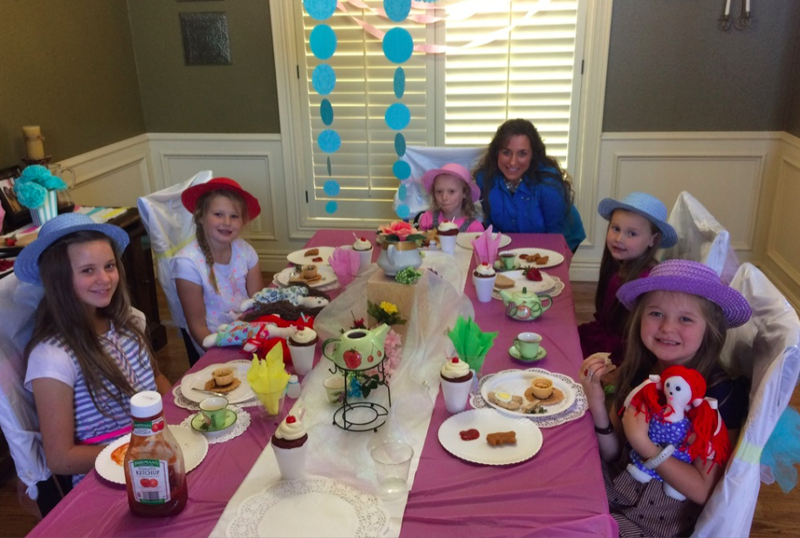 Wondering what table Michelle and the littles are sitting at, I dont recognize where they are? I noticed all the little girls with different color hats,what was the celebration in that photo? Looks like Jill's current house. Looks like a simple tea party with Mom/grandma. Am I seeing this picture wrong? :-) I though those were leggings and a dress? Congratulations Joy and Austin many happy years. Looks like Jinger is wearing pants in that picture of her. Please, enough with the pantsgate. Joy-Anna wore pants in 2015! There's a difference between wearing pants to ski or participate in a sport one time and wearing pants all the time in your normal life. Jinger was the first to cross that line, hence the Pantsgate. Great to see Michelle having a tea party with the girls. As so many grow and leave the nest I'm sure those special moments with become more frequent. Jill looks great but the direction of the photo isn't flattering. Lovely photo of the boys and I hope Jeremy provided some guidance for Austin. What does the family think of Jinger wearing pants? She has worn them multiple times! 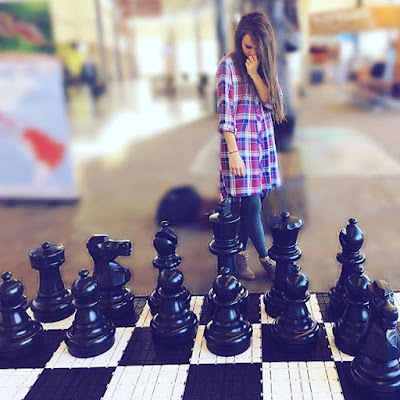 I know Jinger doesn't wear pants around her parents probably out of respect for their beliefs but I really think they should consider her beliefs and accept her in whatever she is wearing. Clothes are a personal choice, but they do not determine what is in a persons heart. Jinger is an adult and married and living her own life, respect is a two way street. I would hope her parents showed her some respect and said 'Jinger wear whatever you want, we don't mind'. They probably don't agree with it or she would have worn them while she lived at home. Joy-Anna wore pants 2 years ago and nobody ever said anything. It doesn't matter what anyone but Jinger thinks of her wardrobe choices. 11:19 AM -- Actually...when you love and respect your family and friends, their opinions do matter. The boys.. Joseph and then Josiah. I LOVE THE PICTURE OF JINGER! I love that they're wearing hats! In all genuine seriousness, why are the two oldest not even in courtships? Are they helping their parents manage the household? They have siblings so much younger than them already married now. Siblings don't have to get married in age order. Obviously Jana and John David haven't met some one they want to spend their life with. We don't know what goes on off camera, Austin has been around for years yet we just now see him, they are not going to announce to the judgmental world till they are sure it's the one. They haven't met the one God has for them yet! Perhaps they are waiting on God's timing. They haven't found the right person yet??? It's up to them when and if they ever want to get married. It's none of our business...I am sure, when and if the time is right, the good Lord is going to send the perfect people their way. Of course they help the household. That's what siblings do. I come from a big family and the oldest always help out. I think the question should be why should they? Sometimes I wonder if life is just about getting married and having babies to some. No one should settle and live a purgatory life in a unloving marriage just to be first. I'm glad the twins are going at their own pace and respect any choice they make for themselves. They should not be expected to help with the house any more. They're too old (should be out on their own), and there aren't that many younger kids around. To still be expecting Jana to help with house and kids is not fair to her. I think they're wedged sandals resembling flip flops. I guess Derick had to go back on toenail painting duty before the big day. Joy gets married and she's to young. Jana doesn't get married and everyone complains. They can't win either way. We have seen a recent photo of Jill full length, and her legs, ankles and feet were remarkably normal. No need for those awful sandals. Post a full length pic of you so we can all critique it and we can tell you about YOUR footwear. Do the Duggar girls go by Duggar as their middle name now? I notice all the pictures are Jill Duggar Dillard, Jesse Duggar Seewald, etc. is this something that Ellie just writes in or do all the girls have Duggar as their middle now? They don't. Ellie just does that. Just saying, It was supposed to be Boy's big day. I think it was in poor taste for Joseph to use that venue to propose and take the spotlight from Joy. Just saying. Joseph spoke with both Joy and Austin before the wedding about proposing after the wedding that night at the reception, and they both happily gave their blessing to him. So, not in poor taste at all if both Joy and Austin were fine with it. I think you are being really harsh... considering it has been reported several times that he did in fact get approval from both of them before hand. Everyone talks about how Joy might feel. How about Kendra?? She did not even know the proposal was coming. Doubt they will slow down now they have a son getting married!!!! 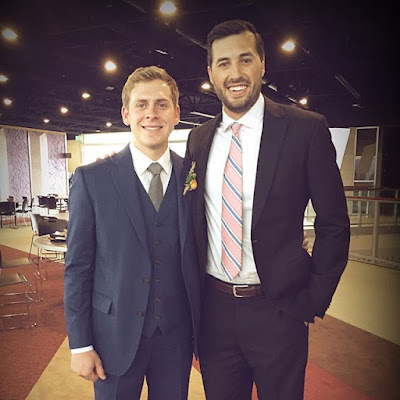 I think Jinger won the most handsome husband contest by a long way lol! Outward appearances are just that. I hope he is as nice on the inside as he is on our eyes! I have known the best looking guys to be conceited and very materialistic. The average looking guys are usually the real gems. Not a fan of Jill's dress, the embellishments take away from the dress. There are prettier shoes a pregnant woman can wear than sandals. Sandals at a wedding.. strange unless it is a beach wedding. Those Duggar girls will have a closet full of bride"s maids dresses they wear only once. LOL! My daughter has a few of those collecting dust. I did notice one thing.. Jana is never the maid of honor. Why is that? Actually, I'm pretty sure Jana was Jill's maid of honor. Actually, these dresses are so very basic that they will probably wear them again. She was at Jill's wedding. @10.01am anonymous. She's not married. Aren't yo supposed to be married before you have that role? The dresses for jill and the girls were a surprise. Very down to earth and dark. But I am not an American south fundermentalist Christian so I would not know if that is the norm for that 'subculture' and also I heard that Joyanna comes across as someone not into a lot of fuss. She likes simplicity. She appears to be more conservative than the rest of the girls. Re: the Barbie doll question....I think it is interesting. When a little girl plays with baby dolls, she can play 'mommy' and that's about it. When Barbie is played with, she's an older, teenager doll, or a working girl type doll. Barbie opens up more possibilities when she's played with....that's why it 'matters' to the person asking the question posted above. I'm not knocking Jill's sandals. At seven months pregnant, the only shoes I could wear comfortably were my favorite tennis shoes...which went so well with my Banking business attire. ;) My co-workers and the Bank President were all very understanding! Currently, due to an allergic reaction on both of my heels from band-aid components, I'll be stuck in flip flops for 4-6 weeks (can't wear anything with a back or back strap). Glad Jill could make the wedding before the baby came! Jana was Jill's maid of honor. I could see them rewearing all of the bridesmaid's dresses they've had. They have all been more on the normal and of things dress-wise, rather than being those stiff, gaudy, shiny, satin messes that so many bridesmaids dresses are. I would wear any of their bridesmaids dresses to church. Sandals are worn everywhere now and are considered stylish with most outfits for most occasions. Not sure what the big fuss is. It's today's style. Surely with all the people in the Duggar family there is no need to use disposable plates, cups etc. With all those hands there shouldn't be a problem washing real dishes. Do the Duggar's even care about the environment? It takes a paper plate close to five years to biodegrade in a landfill. The apparent lack of eco-consciousness presented by the Duggar's truly is astonishing. Water conservation vs. paper plates. I choose to conserve water and use paper plates.